Notifications are emails sent out to agents/contacts about different updates made within the ticketing system. Following notifications can be enabled/disabled. Note: System and Forum notifications cannot be disabled. This disables emails being sent out for the event. For example, if Contacts >> Ticket reply notification is disabled completely, then contacts will stop receiving emails on all the replies sent across the app. Note: Only agents with “Manage Notifications” permission can view and perform the below changes. A notification status can be identified by the “Active” column value where Green indicates the notification is enabled and Grey indicates the notification is disabled. Click on the respective notification which you like to enable/disable and use the toggle indicated below to set the status. This disables notification emails for specific category. From the same page shown above, use the toggle beside each category to set the status at category level. If you are using HappyFox Classic version, refer to the attached document. 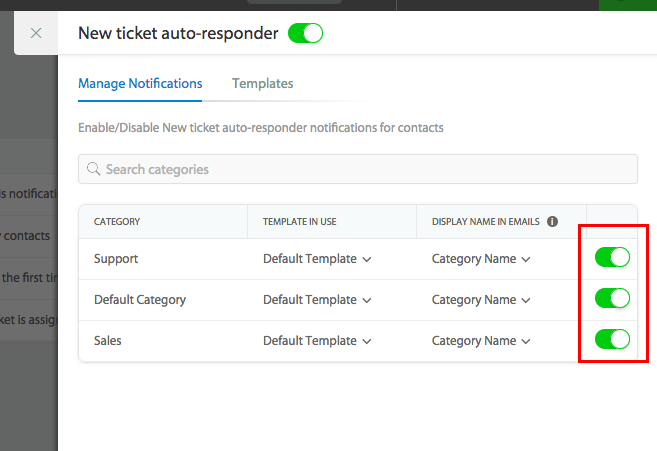 How to send attachments to customers when creating a new ticket? 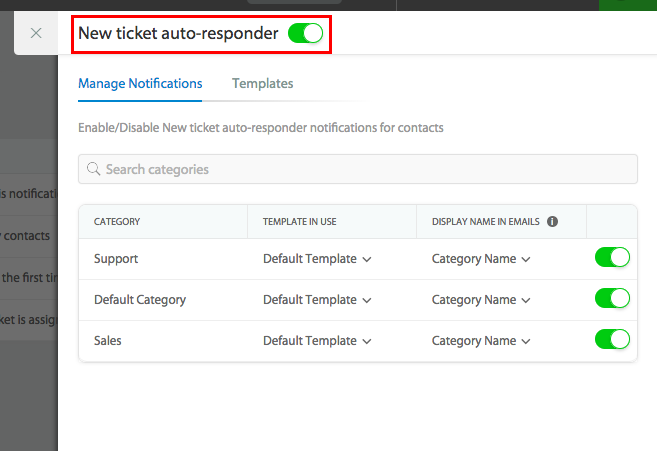 How to send the new ticket auto responder to other CC recipients on the ticket? Why am I not receiving email notifications?